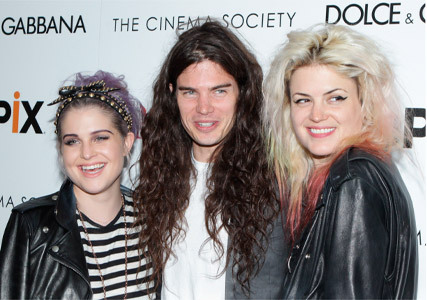 Kelly Osbourne is engaged to her boyfriend Matthew Mosshart, the singer and TV presenter has revealed. In an intimate interview with Hello! magazine, Kelly has shared her excitement about her big day, and Matthew has revealed exactly how he proposed to his girlfriend on a sunny holiday in Anguilla. How lovely. Kelly and Matthew first met at the wedding of Kate Moss and Jamie Hince back in 2011. Matthew is the brother of Jamie Hince’s The Kills bandmate Alison Mosshart. The vegan chef won Kelly’s heart when he uprooted his life and moved from New York to Los Angeles, just to be with her. She says: ‘I’ve never felt this close to another human being, ever. People say we’re co-dependent but we just want to be together all the time.